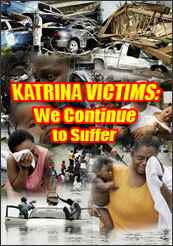 Title: Demonstrate your compassion and solidarity for Hurricane Katrina Artists for Life! Plan of Action: ARTISTS FOR LIFE presents art/work: a Hurricane Katrina Memorial Celebration. Purpose of Action: After nearly a year, many of the Hurricane Katrina survivors who were evacuated to New York still need housing, employment, and support services in order to re-construct their lives with dignity. Even while dealing with the trauma of “the storm” and while dealing with the personal upheaval of being displaced, many of the artists here have been contributing to and enriching the cultural landscape of NYC – doing shows, teaching youth workshops, and much more – often for free. Promises of support have been made, and more than you can imagine, many promises have been broken! Through the non-profit organization Artists For Life, AKILA WORKSONGS, Inc. is doing what it does best: connecting arts and activism on practical terms. Since 1993, AKILA WORKSONGS has provided professional services to the arts community, produced socially relevant programs, and donated hundreds of hours of free services to independent artists. We have stood up for what’s right in the world, and we do it through the arts!